(For more details, you can read this article in The Wall Street Journal). As mentioned at the end of that Newsy clip, the original owners (or their heirs) are seeking the return of at least 200 of the pieces found in the cache. This will likely spur loads of legal battles regarding the provenance of the art and its rightful owners. Historically, battles about art seized or stolen during war are lengthy and costly. Some end with the return of works to their original owners (like this one, where a German court ordered a museum to return a rare poster collection to the son of its original owner, ruling that a failure to return the posters would “perpetuate Nazi injustice”). But, many times, the original owners are never able to get the art back (this article describes the legal battles fought and technicalities relied upon by New York museums to keep art that has been claimed to have been stolen). And that brings us to The Girl You Left Behind, a book of two interwoven story lines, with a plot apropos of these current events. The common thread between the two stories: a portrait. The first story line: It is 1917. In the throes of WWI, Sophie Lefèvre has returned to her family’s hotel, Le Coq Rouge, in St. Peronne, France. She and her sister await word from their husbands, who have been gone several years, and whom the sisters fear have become prisoners of war. St. Peronne has been occupied by the German army for some time now. Most of the sisters’ valuables have been requisitioned. But Sophie has been able to hold on to her most treasured possession: a portrait that her husband, Eduoard, painted of her soon after they met. It captures her spirit: bold, brazen, confident. Sophie and her sister are forced to cook dinner for German soldiers in their hotel every night. During his evening visits to the hotel, a Kommandant with an eye for art takes an interest in Sophie’s portrait. The second story line: In present-day London, Liv Halston lives in The Glass House, a gorgeous, impressive home with a retractable roof that was designed and built by her late husband, David, an architect. David died four years ago, but Liv is still grieving. She can no longer afford the house, struggles for work, and generally flounders. But there is one thing that keeps her going and reminds her of her husband: a portrait of a young woman whom David told her looked just like her, which hangs on the bedroom wall. David bought it for her when they were on their honeymoon in Barcelona. Sophie’s and Liv’s stories come together when distant relatives of Edouard Lefèvre file a claim with TARP (Trace and Return Partnership). The Lefèvres noticed a painting hanging on the wall of a beautiful home in an Architectural Digest spread. The Lefèvres claim that the painting was stolen during the War and, under the Geneva Convention and the terms of the Hague Convention for the Protection of Cultural Property in the Event of Armed Conflict, must be returned to them. They have hired Paul McCafferty to get it back. So, in theory, this seems like an interesting premise, especially in light of current events. The problem: the book is a little . . . precious. Once McCafferty is hired to get the painting back, the plot thickens! In a twist of fate, McCafferty has just randomly met Liv Halston. And (gasp!) they had a drunken hook-up! He is torn between work and love! What started out as an interesting premise turns very quickly into a super cheesy love story. Now, don’t get me wrong. I’m not against a cheesy love story every now and again. In fact, I read and liked Moyes’s best-seller, Me Before You, earlier this year, which definitely falls into that category. Briefly, it’s about a nerdy homebody-chick who becomes the in-home caregiver of a guy who was paralyzed in a motorcycle accident. Before the accident, the dude was rich, handsome, adventuresome, popular, and confident. After the accident, he has become mean and hard and sarcastic and unhappy. But nerdy homebody-chick finds him funny, and (get ready to be shocked) she falls in love with him. Despite the fact that it is a little (OK, a lot) on the sappy side, I enjoyed Me Before You. Honestly, it made me cry and cry and cry (I’m not proud of that, but I will freely admit it). The related story lines were a good idea in theory and could have been successful if they had been more thoroughly developed. But each seemed very rushed and superficial. Sophie’s story line was a lot more engaging than Liv’s (I think the setting lent itself to more excitement) . . . but Sophie was an inconsistent character, so that was frustrating. Especially in light of the subject matter, I was disappointed. 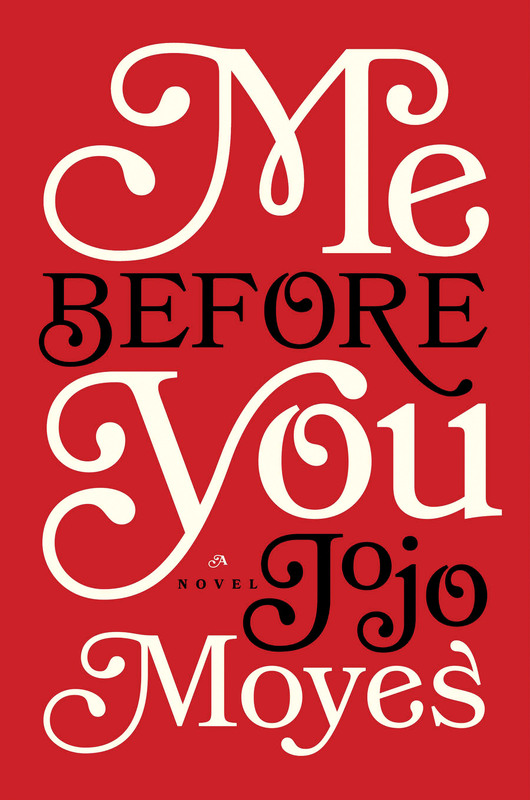 What you should read instead: Me Before You is pure fluff, but far better than The Girl You Left Behind. It’s a Notebook-esque tear-jerker. If you’re into that sort of thing, you’d enjoy it. 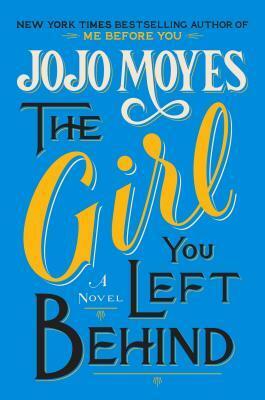 This entry was posted in Rating: 2/5 and tagged Book review, Books, Jojo Moyes, The Girl You Left Behind. Bookmark the permalink.